This 4-quart unbreakable clear-view batch bowl with LiquiLock seal system. Comes with 2-horsepower peak input commercial motor. Heavy-duty die-cast housing. Large, easy-to-read control buttons. Over 20 processing options in 1 machine. Features 120-VAC, 60-hertz, ETL sanitation. Best warranty in the industry, limited 5 years motor, 2 years parts and labor warranty. Includes 1 each sealed S-blade, 1 each adjustable slicing disc, 1 each sealed whipping disc, 1 each reversible shredding disc. 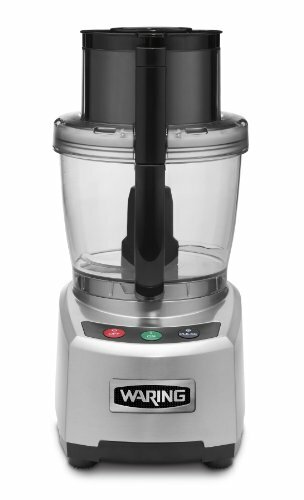 If you have any questions about this product by Waring, contact us by completing and submitting the form below. If you are looking for a specif part number, please include it with your message.